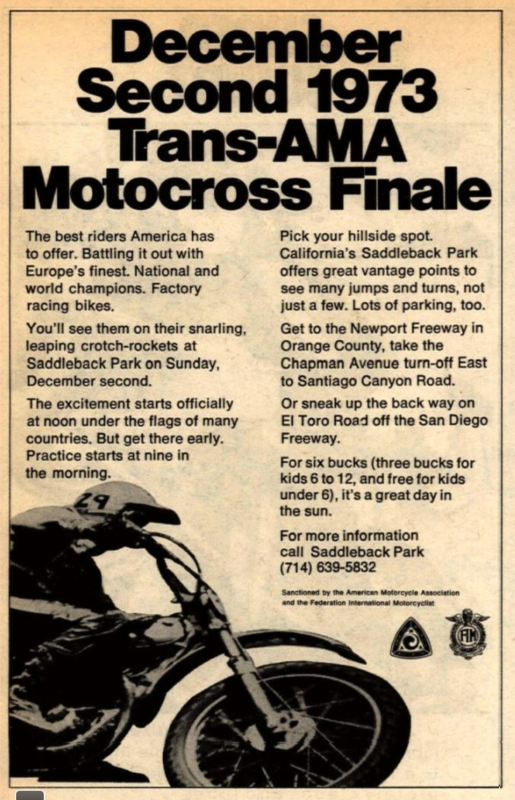 It's the final round of the Trans-AMA Series at Saddleback Park. Maico's Adolf Weil and Suzuki's Roger DeCoster swap moto wins and runner-up finishes, with Weil coming out on top in the second moto for the overall, as well as the series championship. The top American would be sixth-place Rich Thorwaldson. Honda ran a slick marketing campaign based on the AMA's new production rule, which would be coming into play in 1986. All riders had to be on production-based motorcycles, rather than one-off works factory bikes. Honda, which had the edge on everyone at the time when it came to factory bikes, made the point that their production bikes would also be better as a result of their 12 years of works bike innovations. 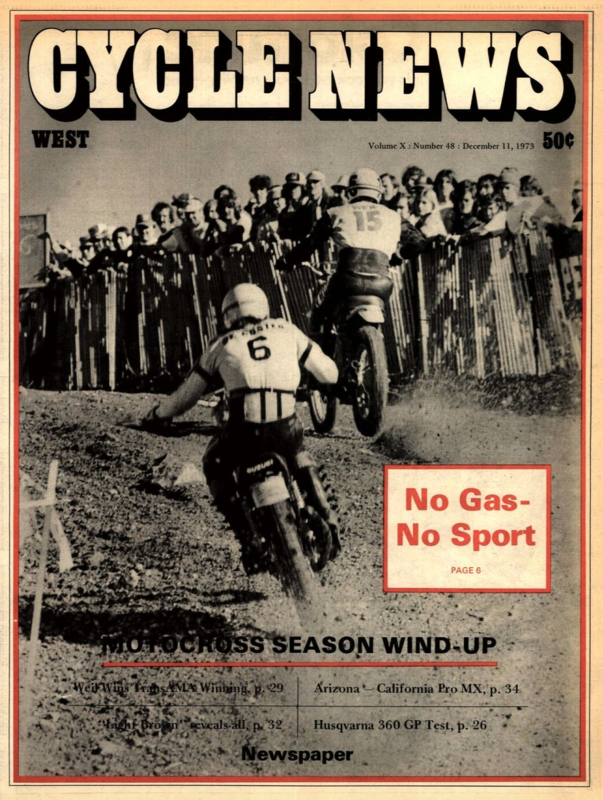 The problem was that the ads also featured 1985 AMA 125cc National Champion Ron Lechien, who had just been fired from the team after he was arrested for marijuana possession at the Tokyo Airport. Lechien would then sign with Kawasaki and begin competing against his former team and their line-up of David Bailey, Johnny O'Mara, and newcomers Rick Johnson and Micky Dymond. And in the opening night of the '87 Paris-Bercy Supercross, superstar Rick Johnson comes out on top as he begins the process of winning his first King of Bercy title.